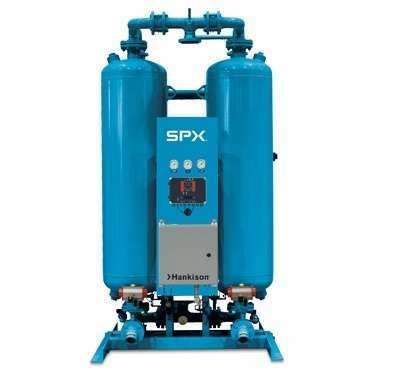 Fully automatic, pressure swing, twin tower compressed air dryer. Uses a portion of the dry air to remove moisture from the desiccant bed. Desiccant is high quality, non-corrosive & abrasion resistant. Specially designed to offer high moisture adsorption capacity and low pressure drop.